Norbert von Fransecky was very happy when he got a mail telling him that it would be able to do an interview with Mick Box after the soundcheck in Berlin. 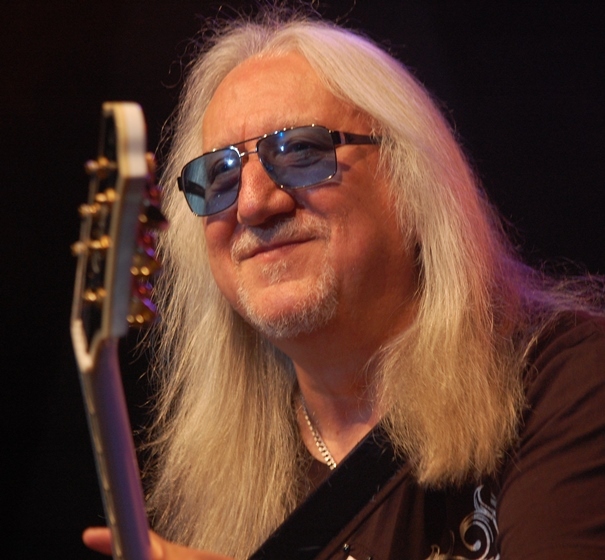 (On November 14th 2016 Uriah Heep has been in the german capital as support act to Status Quo; The Editor) But he caught a fever and had to cancel the appointment. 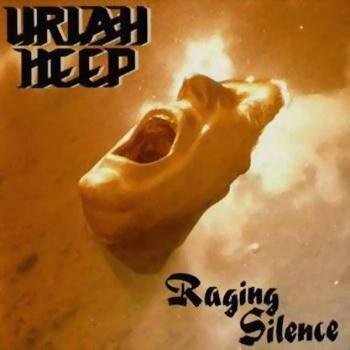 So he wrote down his questions mainly dealing with the new Re-Release Edition of 17 Uriah Heep records originally released between 1970 through 1986. Now we have the answers pinned down by Mick Box in English. And for the first time we will release an interview in two versions; here the originally English one – and in musikansich.de of course a German translation. Norbert started his interview asking why there is a new Re-Release-Edition. MAS: You have started a new Edition of Heep Re-Releases. Not the first one. Why was a next one necessary? And what is other, maybe even better, compared to formerly editions? Mick Box: Most of the others were done without our consent, so when BMG approached me and said they wanted me to have a hands on approach to the project and be totally involved, I thought it was a good idea. MAS: The remaster versions of `Very eavy very umble´ and `Salisbury´ have each been accompanied by a second “alternative” version of the both albums, including besides bonus tracks all album tracks in different versions. Will this be the structure of all of the upcoming releases? Mick Box: We certainly hope so and Rob Corich and myself are listening through numerous out takes and different versions to keep the flow going. It is great for the fans. Raging Silence, the first album with Singer Bernie Shaw, was released in 1989. MAS: The new Edition covers the years from 1970 to 1986. So only the first record with Bernie (Bernie Shaw - Uriah Heep singer since 1986) is included. Why did you choose only these years? Just legal reasons? Mick Box: These are the albums that BMG own, beyond that the ownership changed. MAS: The first two albums are already released. Can you tell something about the schedule for the ongoing release? Mick Box: I have not been given a release schedule but they will be pretty frequent I assume. We have finished Look at yourself, and I am just completing D&W. MAS: It is by accident that I got me a CD of Yes’ `Time and a Word´ on a Flew Market in Hannover and a vinyl copy of the US-issue of `Look at yourself´ on a Flew Market in New York nearly at the same time. I hadn’t heard `Time and a Word´ ever before. So I was very surprised when I heard a lot of Keyboard sounds that are very similar to some parts of `LaY´. Has `Time and a Word´ been an influence for the most experimental record Heep has ever made? 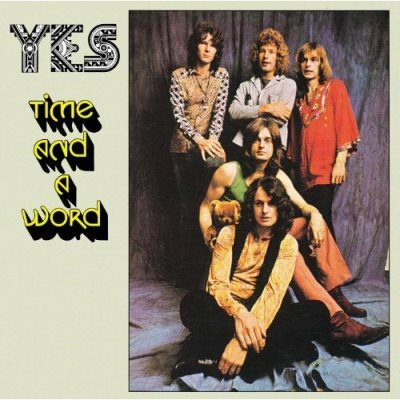 Time and a Word, the second album by Yes – an influence to Look at yourself? Mick Box: I’ll be honest I have never heard it, but I may listen to it after your comments. MAS: At the time of the start of the new Edition a new compilation was released. Not a “Best of” for you decided to take two tracks from each of the 17 albums. So you have to leave a couple of great songs of your classical albums behind while including songs from the weaker records of your career. Who has made this decision, the band or the label? What was the reason for it? Mick Box: I think we wanted to give a representation of everything we had done and the musical journey that we had taken over those years, to get a true perspective. MAS: “Two tracks from each album” is not totally exact. There is only one song from `Raging Silence´ included – definitely not the worst part of your catalog. Why that? There is enough space on the CDs to add one or two songs more. 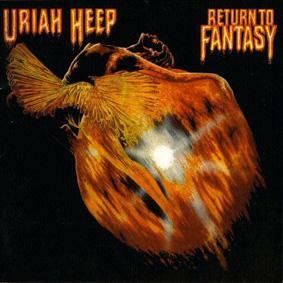 „Your Turn to remember" from Return to Fantasy (1975) gave it’s name for the new compilation. Mick Box: It is a relevant title and a good one. I did not see the point of putting the song on just because it was the title. MAS: Now you are on tour as a support for Status Quo, a band that without doubt has released a couple of great Rock records – but that in terms of innovation and meaning for the history of rock music cannot claim the same importance as Heep. What are your feelings to be in this situation? Mick Box: We are two different peas in the pod. They have had enormous success with good pop songs that people still love to hear, and we are similar in that we have good rock songs that have stood the test of time that people still love to hear in the live arena. It is a good ticket and people get a little piece of everything. MAS: Heep has been one of four extraordinary innovative bands who brought Hard and Heavy Rock into the world. I know that the band has lost a great number of old fans in the “Pop area” around `Innocent Victim´ and `Fallen Angel´. Maybe that’s a reason why today often only the three of Led Zep, Sabbath and Purple are named as the founding fathers of Hard Rock – and why Purple and Sabbath are playing big arenas while Heep is playing the clubs. Innocent Victim, released November 1977 included the enormous successful pop single „Free me“. You and Ken (Ken Hensley, guitarist, singer, keyboard player and main composer for Uriah Heep until 1980; NvF) wrote new liner notes for `Your Turn to remember´. 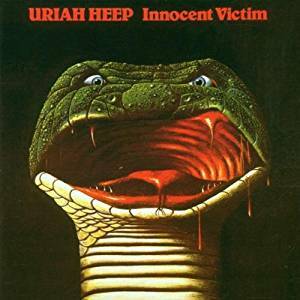 Where you talked about the two songs from `Innocent Victim´ one can read Kens words: „Heep were not at their best Form“. This fits in with the very short mentioning of this time with John Lawton. His name isn’t even mentioned one single time in the liners notes. Is that an intentional alienation from an area at whose end Heep was so down like never before (and after) in the band’s history? Mick Box: I think the writing of the band went to pop music for me, and I wanted to retain the rock element. However with John in the band we did have enormous success with those albums and to some degree it was down to his voice as he had a good set of pipes and still has today. (John Lawton has – after a break of 36 years – just released a new studio album with his band Lucifer’s Friend; The Editor) He even made the pop songs sound a little rock, thank goodness. MAS: Last Question: There are rumors about a new studio album. Can you already tell something about it? Mick Box: Phil (Lanzon, Keybords; NvF) & I are presently writing songs for the new CD, which we would like to record next year. When we have enough songs written we will start planning the recording process and put it in the diary. MAS: Mick! Thank you for the answers and have a lot of fun at the ongoing journey through your history.